Inbound Marketing refers to marketing activities that bring visitors in, rather than having marketers having to go out to get prospects attention. 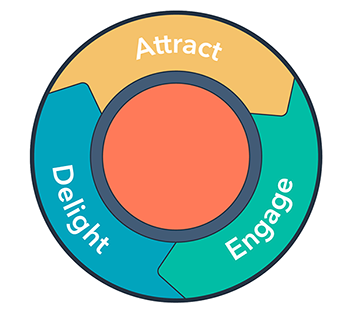 Inbound Marketing earns the attention of customers, makes the company easy to be found, and draws customers to the website by producing interesting content……. content that customers want to engage with. Inbound Marketing is “permission based”—communication via mediums in which the audience has given you permission to communicate. Examples: Email marketing, social media, Bloggers, webinar attendees. Hubspot is leading marketing automation software platform designed for both small and enterprise level business. The platform offers a multi-functional toolbox including a robust CRM, as well as marketing & sales tracking tool. You will never need to guess about forecasting when the Hubspot tool is implemented. DrivenByWSI is a Hubspot certified agency specializing in content development. We help clients create and manage Hubspot’s CRM and integrate the sales and marketing tools t o close more deals. Call today, 917-656-9119 to schedule a no-obligation discovery meeting.